Verizon Wireless is a wholly owned subsidiary of Verizon Communications. As of August 2015, Verizon Wireless provided wireless services to 137.5 million subscribers. 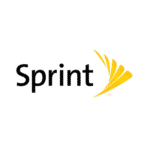 It is the largest wireless telecommunications provider in the United States.